Like the name suggests, the Booty Builder machine can be used to build and tone the buttocks and glute muscles. As this is a machine that targets the area, it is great to add as an isolation exercise to your workouts and routine. 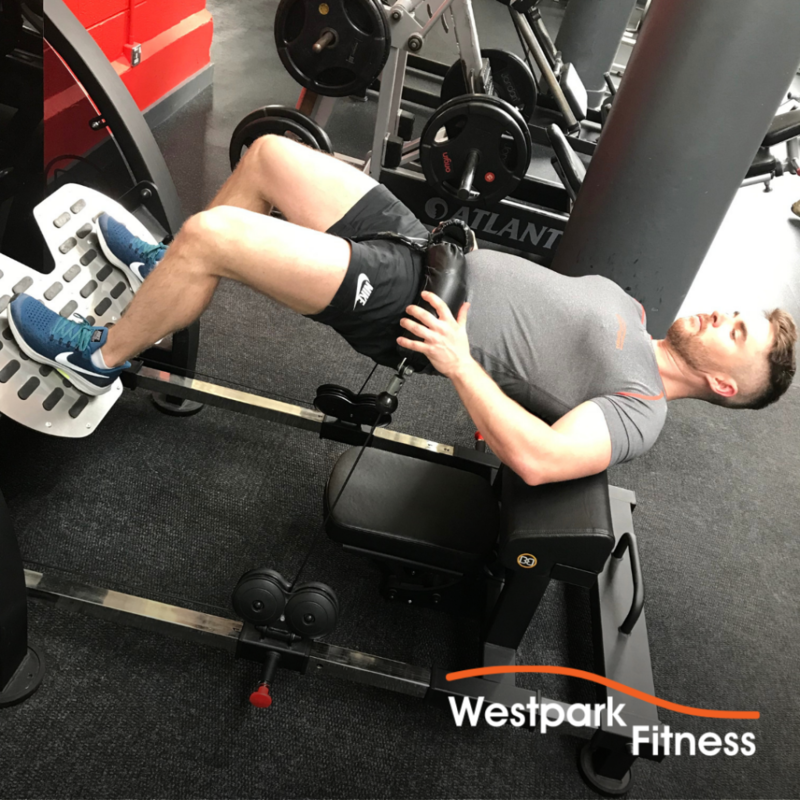 Regardless of the aesthetic results using the machine can bring, it can also be used for overall strengthening of the lower body – as used by the likes of Westpark Fitness sponsored athlete Tom Parsons as part of his recovery programme. To begin, you can either select a weight at the weight stack or choose to use your bodyweight only. When you sit onto the machine, make sure to fasten the belt so you are kept safely in place. The lock of this belt should rest comfortably against your stomach with the belt comfortably around your hips. Adjust the bench so that you have a good distance from the foot plates. You need it so that your knees form a right angle bend at the top of the movement. Again practice with a few repetitions (reps) to make sure it is set up correctly. 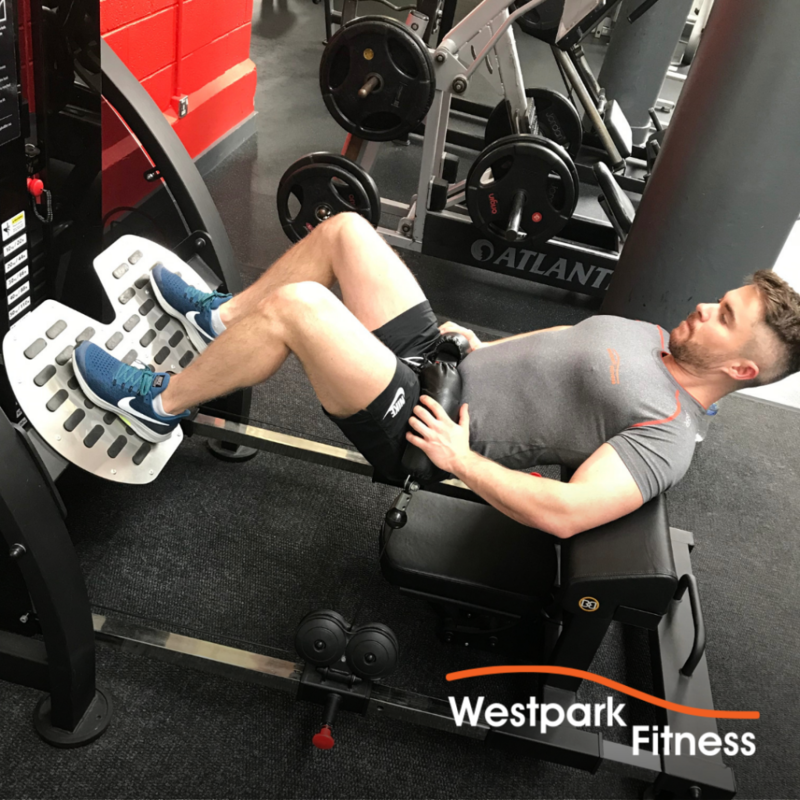 Place both feet on the footplate and apply pressure through your feet and legs, brace your core and lift your hips as high up as possible while you contract your glute muscles. Slowly lower yourself back to the starting position and this is one rep complete. Practice both using weights in the weight stack and just your bodyweight until you find a solution that you are comfortable with and can manage safely as you get used to using the machine. Our fitness team can advise you on the optimum amount of reps and sets to complete to reach your health and fitness goals. They can also demonstrate the Booty Builder exercise to you and guide you through it in person if needed.